Cultivar Map, Mostly Cabernet a little Carmenere and some Merlot. 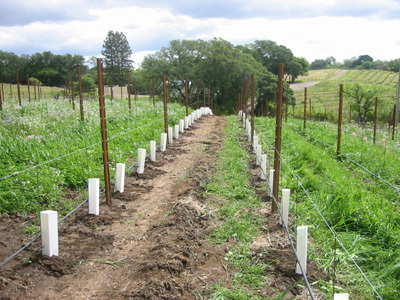 In May 2016 we replanted the 160 Carmenere vine and another 200 vines in the blocks above the house with Cabernet Sauvignon clone 169 on 3309C rootstock certified virus free from Herrick Nurseries. We also planted 20 of these vines around the cistern below the garage. 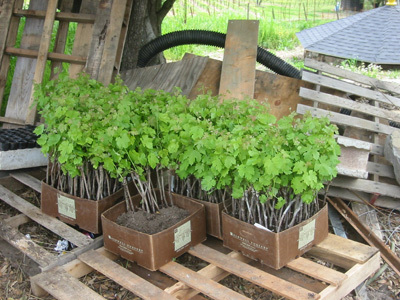 New vines before planting from Caldwell Nursery. 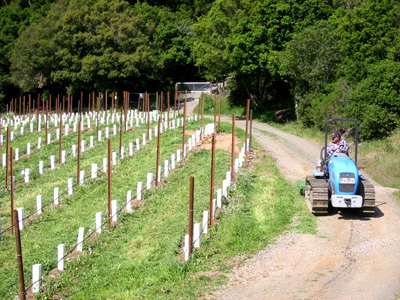 Ramon, Joel, Anthony planting first of the new vines in May 2003. First two rows planted, all Cindy's Carmenere. Ramon mowing between vines on Landini Crawler. 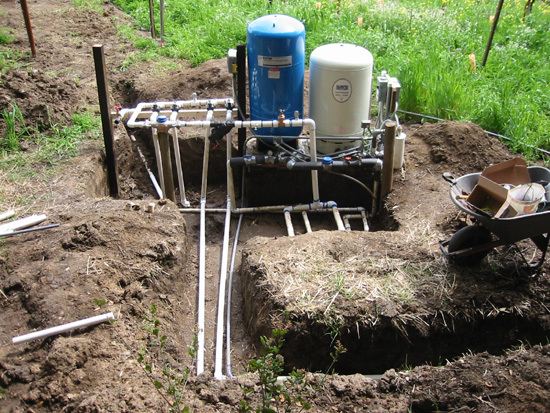 Irrigation manifold and control system at well number 4. 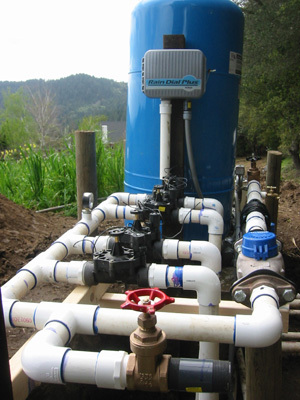 Irrigation is 100% automated. Fertilizer insertion requires some manual operation to dissolve the fertilizer. Another view of the manifold. 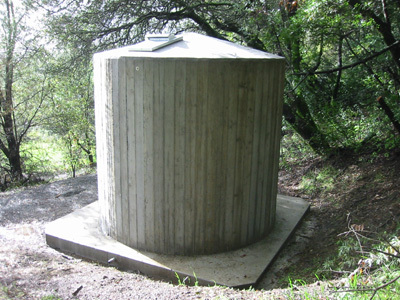 Water storage Tank, 10K gallons. 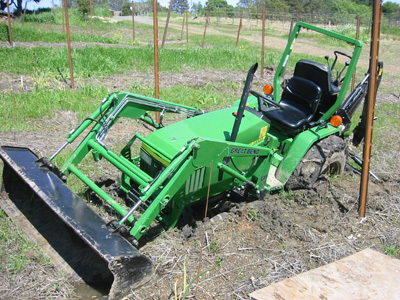 Farming is not all fun and games as you can see below. February 20, 2002 a little snow in the vineyard. No snow in the 13 years since. We tested for Red Blotch in 2015 and found that the vineyard is also infected with it.